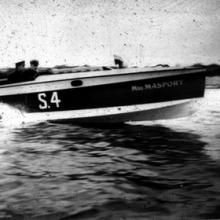 1922: 'Miss Masport' built to race in N.Z. Power Boating Championship. It wins in its first attempt. 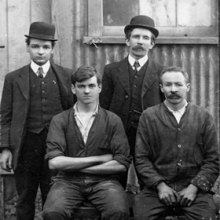 1925: The Porters meet Fred Cave and Enid Porter joins the firm because Harold Mason has to take time off for illness. 1937: Harold Mason resigns as Chairman and is replaced by Fred Cave. Enid Porter becomes a Director. 1938: “G” Force i.e. women are employed in the factory to carry out light assembly work and painting. 1939: Fred Porter becomes a Director aged 22. The sparkling new lunch room. 1940-42: Mt Wellington Plant including new Foundry is completed and the Company goes onto a full war footing. 1943: Russell Jenkins appointed a Manager of the Company. 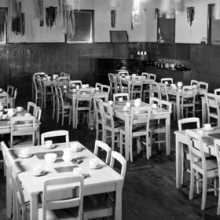 1945: Harold Mason resigns from the Company and Russell Jenkins becomes a Director. By the end of the year full time production has resumed. 1946: Enid Porter dies suddenly. 1947: Harold Mason dies aged 64. The Masport 'Rotahoe' first introduced to the market in 1958. 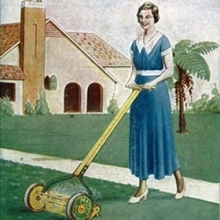 1952-53: “LawnSprite”, Lawn Prince and Lawn Chief range of motor mowers produced. 1953: Gordon Boswell is employed by Mason and Porter. 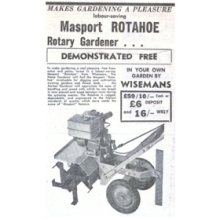 1955-56: First “Rotacut” horizontal blade lawn mowers manufactured. 1958: Masport “Rotahoe” introduced to the market. 1959: Doug Benefield joins Mason and Porter and sales exceed $1,000,000 for the first time. 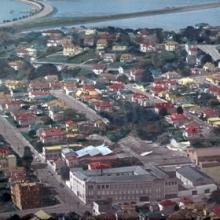 Aerial view of Parnell Plant which closed in 1962. 1961: David Porter joins the Company as an apprentice fitter and turner. 1963: Terry Porter also joins Mason and Porter as an apprentice fitter and turner. 1964: Reuben Porter dies aged 78. Fred Porter and Russell Jenkins become Joint Managing Directors. 1966: Sales exceed $2,000,000 for the first time and Marketing Department opened. 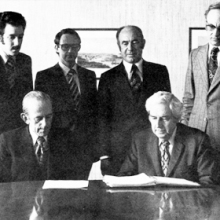 Board of Directors - Masport Holdings Ltd (1977-78). 1971: Doug Benefield and David Porter become Directors. 1972: "Movac" and "President" lawnmowers produced. 1973: Russell Jenkins retires as Managing Director (Admin). Doug Benefield replaces him. 1975: Masport Australia increase sales by 73% and breaks the $A1million mark. 1978: Total external sales exceed $30 million. Pittsburgh Pot Belly Stoves are released to the market and 4,000 sold in the first year. 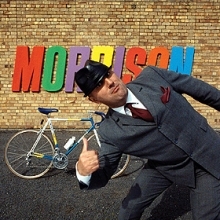 Morrison Industries is purchased by Masport in 1986, with the Cycle division being sold in 1987. 1984 : Masport Ltd formed and listed on the Stock Exchange. Fred Porter appointed President and Doug Benefield becomes Managing Director. 1985: Porter family leave Masport during the year and Doug Benefield becomes Chief Executive Officer. 1986: Masport purchases Morrison Industries. 1987: Sir Earl Richardson steps down as Chairman. Divisionalisation introduced. Morrison Industries Cycle division sold. 1988: Doug Benefield retires as CEO but remains a Director. Nick Bessey becomes CEO and unifies divisions. Masport is placed under Cable Price Downer banner. 1989: Nick Bessey resigns as CEO and is replaced by Laurie Margain. 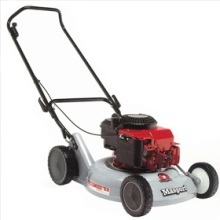 'Product of the Year' award winning Mulching Lawnmower. 1994: Mulching lawnmower wins 'Product of the Year' award. 1998: Masport introduces the Multi-Feature and Genius range of mowers. Utopia Cast Iron fires introduced. 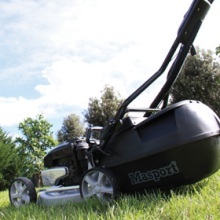 Masport MSV Genius 4n1 Lawnmower. 2003 CEO John Lawson resigns and is replace by Mark von Batenburg. 2004: MSV series mower introduced. Launched as THE BEAST. 2005: Mark con Batenburg resigns and is replace by Peter Batcheler as General Manager. 2006: Peter Batcheler resigns as General Manager. 2007: Steve Hughes appointed General Manager of Masport Ltd.
Clive Baker retires after 29 years. 2010 Mike Carvill retires in July after 32 years. 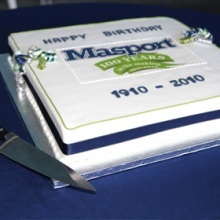 Masport celebrates it's 100th Birthday on 1st December. With pages full of rich history, the Masport Commemorative Centenary Book tells the story of the iconic New Zealand company Masport over the last 100 years. This hard covered book is 310 pages, which are full of stories & pictures. Price includes postage & packaging (within Australia). To purchase use the form below. After submitting the form, a member of the Masport customer services team will make contact with you within one to two working days to confirm your order and finalise your payment details. Both direct credit and credit card options are available. Price includes postage & packaging (within New Zealand). Note: International orders may incur additional costs – these will be communicated before you confirm your order. Need more information, have a query or something to contribute? Fill out the form below and we’ll be happy to help with your request. Alternatively visit www.masport.com for additional information on Masport and it’s products. © Copyright 2010 Masport Limited.